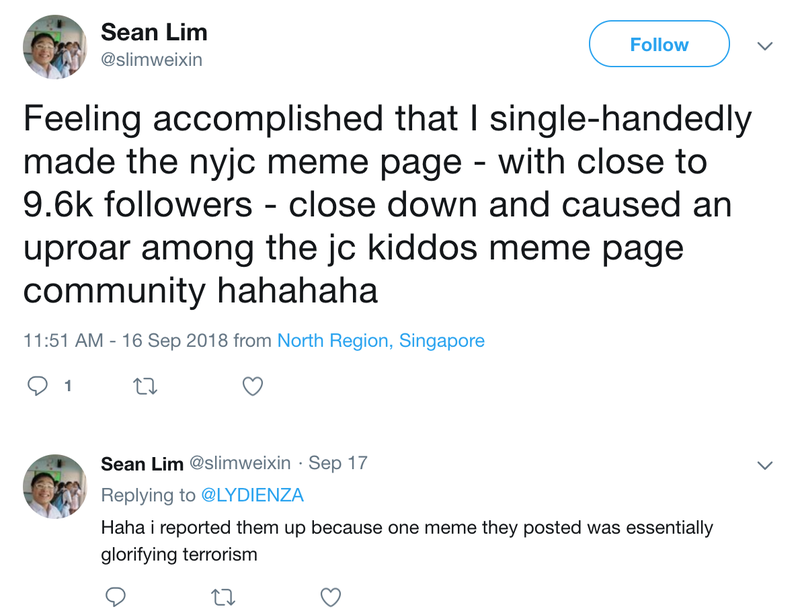 23-year-old Singaporean student Sean Lim Wei Xin has been met with sharp criticism by his peers, after he reported an offensive meme that he believed glorified terrorism to the police. The meme in question was posted by Nanyang Junior College (NYJC) students on the @nyjcmememachine Instagram page. 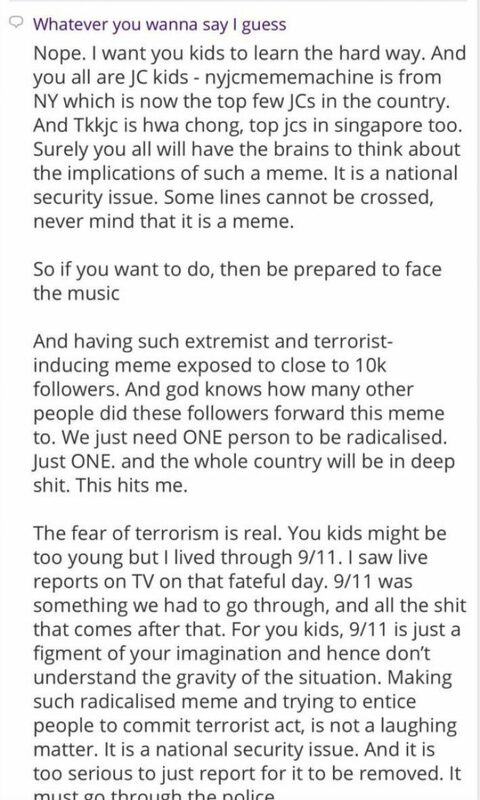 The meme, which featured the former Al-Qaeda leader Osama Bin Laden photoshopped beside a picture of the burning World Trade Center, was posted on September 11, on the 17th anniversary of the attacks. The words were a play on Nike’s viral advertising campaign, which featured former National Football League player Colin Kaepernick, who would kneel when the United States national anthem was played before a game as a protest against racial inequality and police brutality. 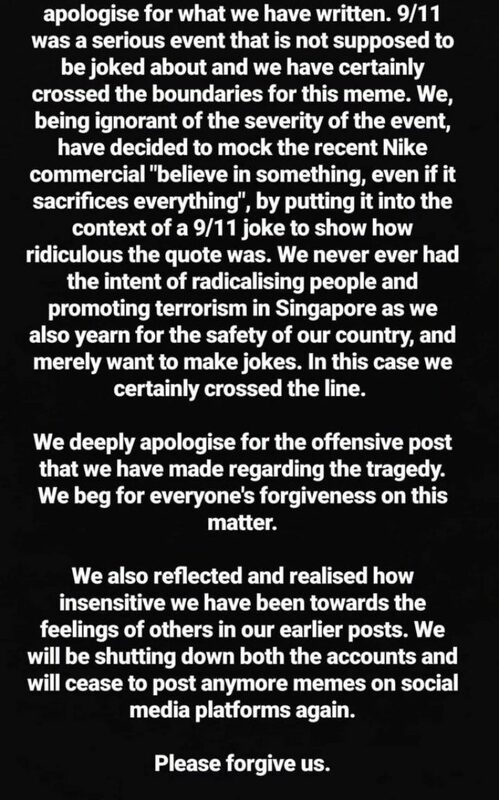 The controversial footballer’s ad for Nike sparked a boycott of its products and services and incited many memes. 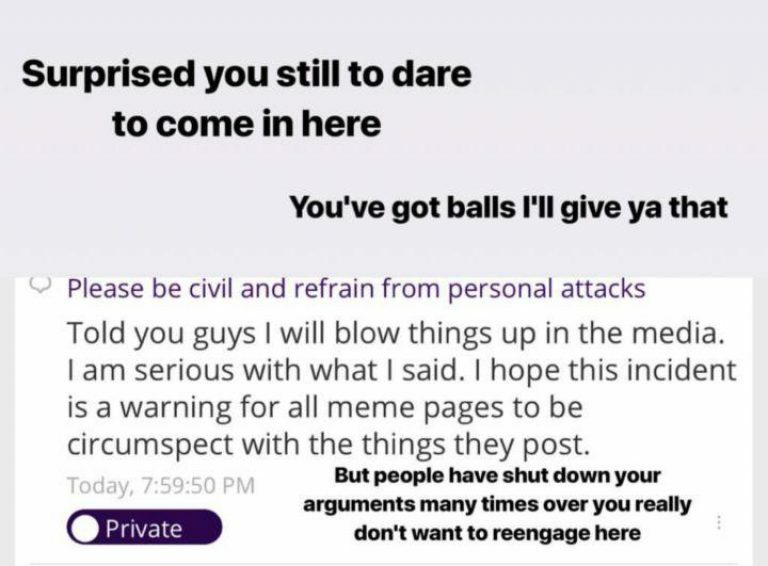 This particular meme however caught Lim’s attention and he proceeded to lodge a police report about it. Interestingly, Lim first declined to identify himself when he was interviewed by the press over his report. He was only described as a “23-year-old undergraduate who declined to be named”. 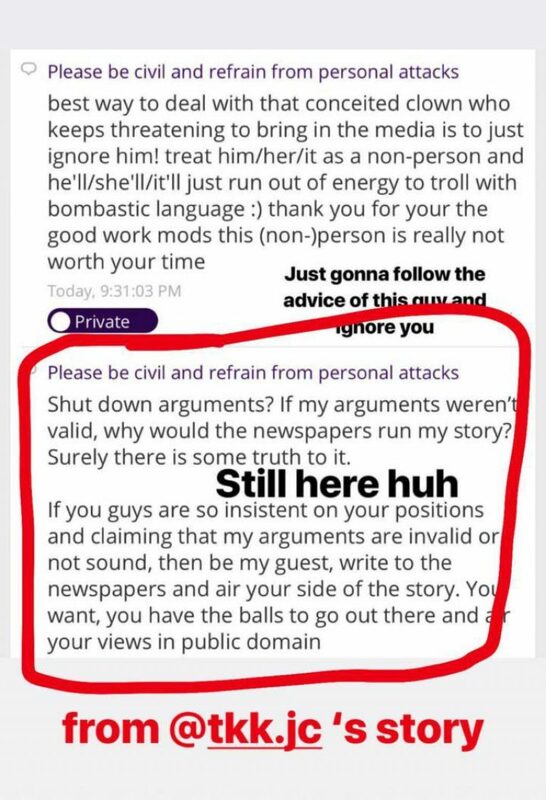 Lim seems to have a change of heart after the police report began trending on social media. 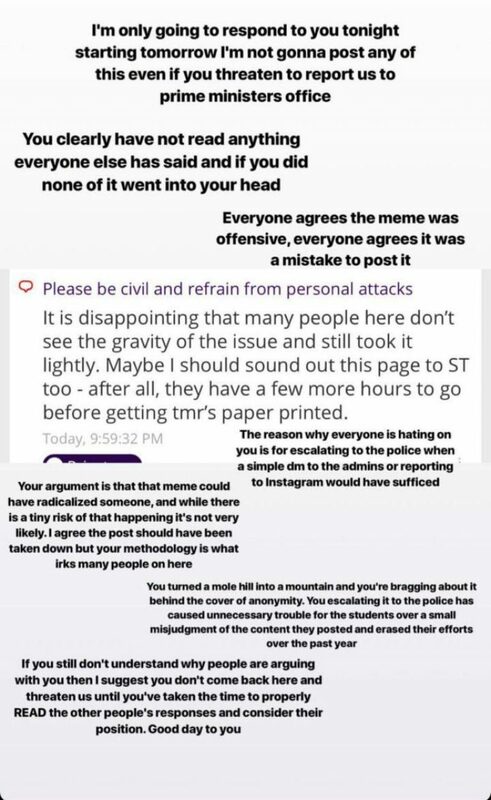 NYJC principal Low Chun Meng came out to say that even though the meme was “posted in jest”, the students certainly crossed a line that they should not have. 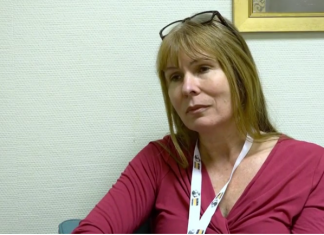 He further revealed that the students involved will be undergoing counselling. 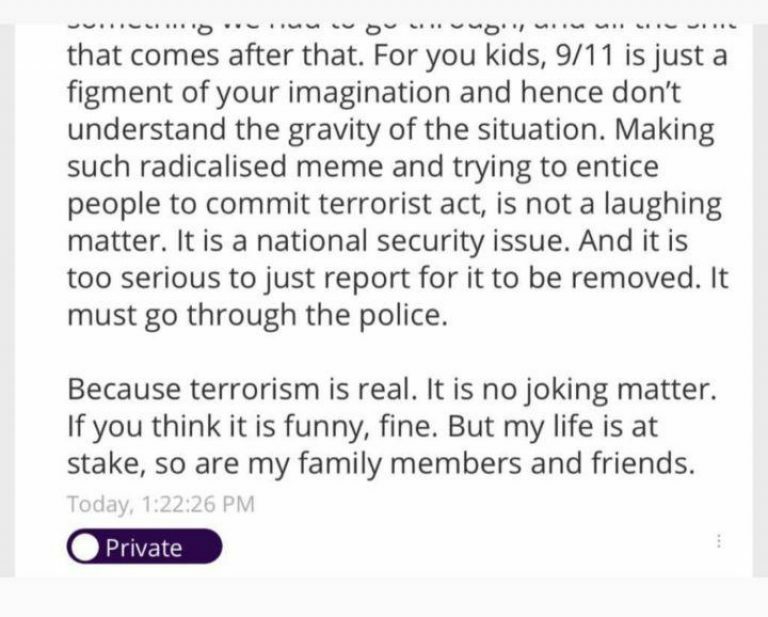 Lim proselytised, “Worse still, graphics are powerful and have the potential to contribute to self-radicalisation, which is reportedly a real threat here…It is no longer just about sensitivity, but about the threat and danger such pictures can bring. 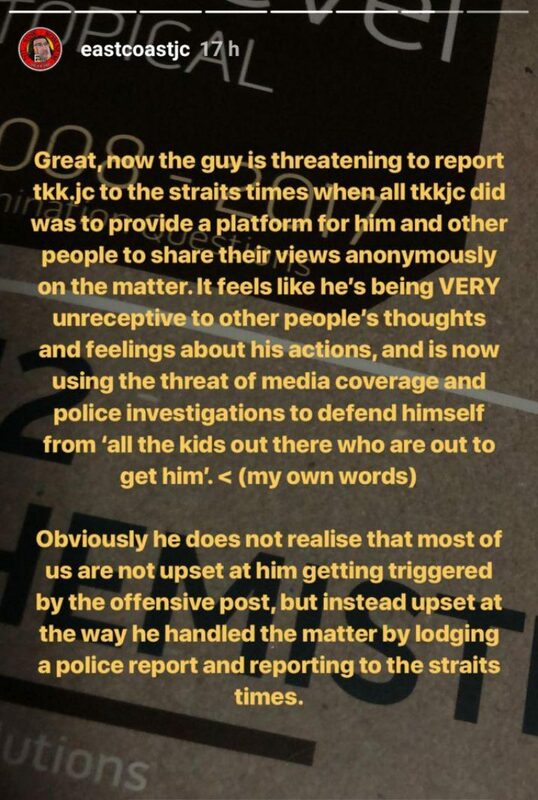 While some have agreed with Lim’s views and actions, voices from several quarters have criticised the young man for his stance. 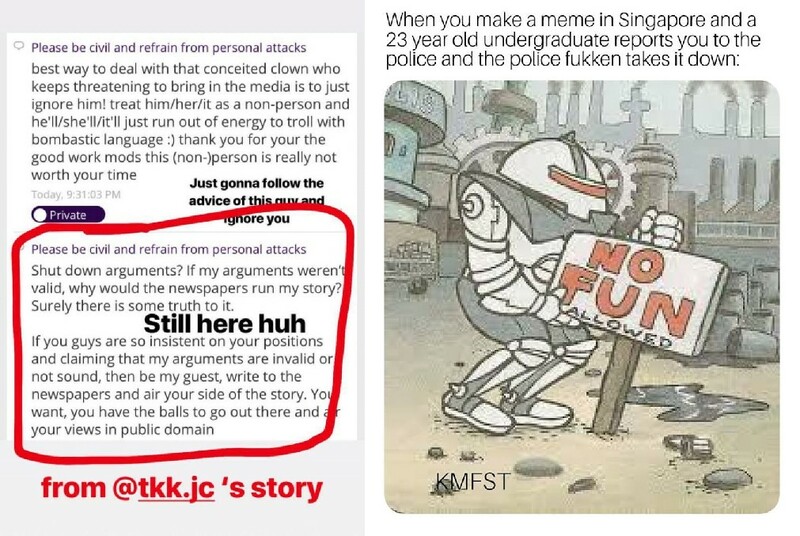 The most interesting reaction, however, seems to have come from JC students from multiple junior colleges in Singapore.